Sean is always shouting and rushing about. But when he gets stuck in a cupboard with Miss Green, his loud voice comes in handy! No-one’s taking any notice of Daisy today. But when her wobbly tooth comes out, she’s got plenty to show and tell! Lily is feeling sad. Her mum and dad don’t live together any more and everything’s different. But when she draws a brilliant book, she feels much better! 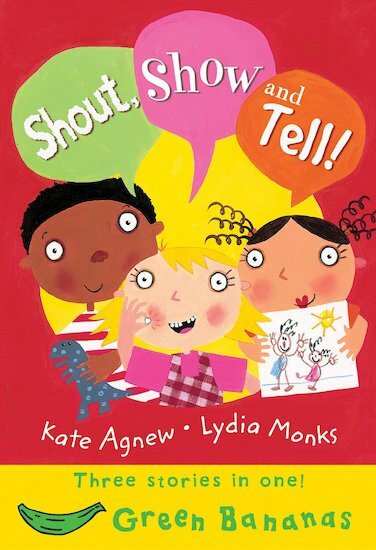 Three warm-hearted classroom stories featuring Lydia Monks’ vivid colour illustrations, specially created to suit children at National Curriculum Level 1.